U.S. Business In The Hands Of Federal Reserve Academicians! What is it that can and often will separate successful businessmen and investors from those who may not be? Often it’s the ability to ‘pull the trigger’ on decisions that may not be that easy to make. In the stock market the best time to buy is often the very time that everyone else is selling and, conversely, the best time to sell is when the masses can’t get enough. In business it’s having the proverbial cajones to enter a new market, exit an underperforming market, to innovate or maybe to use a marketing strategy that pushes the envelope beyond the place competitors might be willing to go. Government on the other hand, a category in which I will place the Federal Reserve, has no need to innovate or to push the envelope. Government in effect has no responsibility to a bottom-line or a need to grow in any way other than raising taxes to bring in more revenue or to increase infrastructure to create more jobs. Either way, whether through taxes or through government growth, the cost is borne by you and I, the taxpayer. To further compound the problem of government bureaucrats setting policy for businesses and individuals is that I would venture to guess that many if not the majority have little to no actual business experience. A perfect example might be the government mandated minimum wage of $15 an hour that might sound great to the voter, but will undoubtedly have unintended consequences politicians can’t be bothered with worrying about. I hate to say it but the above mentioned description certainly seems to be the case with Fed Chair Janet Yellen, an appointed government official who has much of the worlds financial future (at least in the near to medium-term) in her hands. Impressive to say the least but financial markets and economies do not run on pedigree or on economic theory. So now, after many years of a 0% interest rate policy, much of the world finds itself in recession and the U.S. in an extremely slow growth and tepid employment environment. And to my untrained eye the Fed has placed itself between a rock and a hard place having kept interest rates at 0% during what has been labeled an economic expansion, a time that interest rates would typically be raised (or at least be off of a 0% base). The problem has been that since the financial crisis reportedly ended, 0% interest rates have not increased inflation (deflation actually might be more of a concern) and despite a 5.1% unemployment rate, the masses on Main Street are still suffering economically. But now the Fed has signaled to the world its plan to raise rates likely 1/4% which could potentially roil global financial markets and economies and, as a result, to push the U.S. into recession. So what happens if the U.S. goes into a recession and the Fed has no ability to use the one usual tool that it has which is to lower short-term interest rates (The Federal Reserve Needs To Raise Rates So That It Can Cut Rates!)? You guessed it! It will use its newfound tool, Quantitative Easing, and initiate QE4 after numbers 1-3 proved for the most part to be ineffective. Ineffective that is unless the goal was to expand the Feds balance sheet by trillions of dollars making the unwinding of that problematical as well. So in two weeks will the Fed or won’t the Fed raise rates and if not then, when? For you and I, the lowly businessmen and woman of the world, we can only wait and see. But hopefully, whatever decision it makes, the Fed can get it right! There’s quite a bit riding on it! 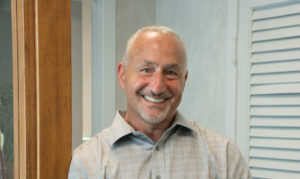 Article by Michael Haltman, President of Hallmark Abstract Service in New York. Learn more about Hallmark Abstract by watching our whiteboard animation here.